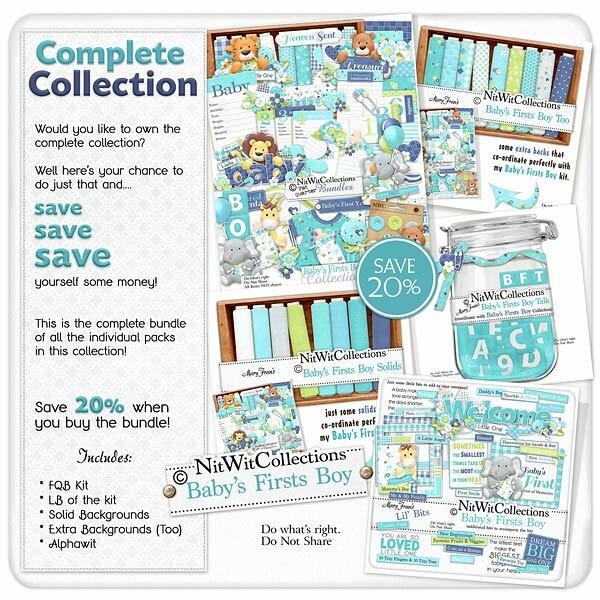 Bundled "Baby's Firsts Boy" Collection is the perfect digital scrapbooking and card making kit to track your baby's first year from birth up to and including his first birthday! The sweet colours of this digital kit will give you bright and colourful scrapbook layouts, cards and mini albums and the characters, announcements for each month and other embellishments provide the inspiration and creative ease. Helping you to keep track of every milestone of your baby boy's first year and to preserve these memories forever! !